Here at David James Group we’re all about causing a stir, and a stir is what we have made. Recently, DJG won not one, but two 2018 Communicator Awards of Distinction. Here at David James Group we're all about causing a stir, and a stir is what we have made. Recently, DJG won not one, but two 2018 Communicator Awards of Distinction. The first award was for "I Am With SWE" Membership Marketing for the Society of Women Engineers winning in Integrated Campaign for Non- Profit category. The second award was the "Rocktober" Membership Drive for the International Association of Business Communicators, also in the Integrated Campaign for Non-Profit category. "Our clients are mission-driven associations, and non-profits that represent the people behind the missions. Our team strives to create ideas that connect with the emotions and passions that these members have for their given cause; we're pleased that our work also connected with the judges," said Ron Zywicki, DJG's creative director. "I Am With SWE" campaign was a way to express how the members feel about the Society of Women Engineers as part of their identity and that they stand with SWE. "I Am With SWE" demonstrates their support for women in the field of engineering and technology and while championing their efforts with their membership. SWE's campaign consisted of booth graphics, member photoshoots, email marketing, a video testimonial and a campaign video for "I Am With SWE". "We didn't want 'I Am With SWE' to be another traditional membership marketing campaign," said account manager British Digby. We wanted it to be more than just about communicating membership benefits and a renewal deadline. So we allowed members to take ownership in the campaign and share their 'I Am With SWE' stories via video testimonials and quotes used in renewal emails. And over the last two years, we've watched these stories become the spirit behind the campaign." 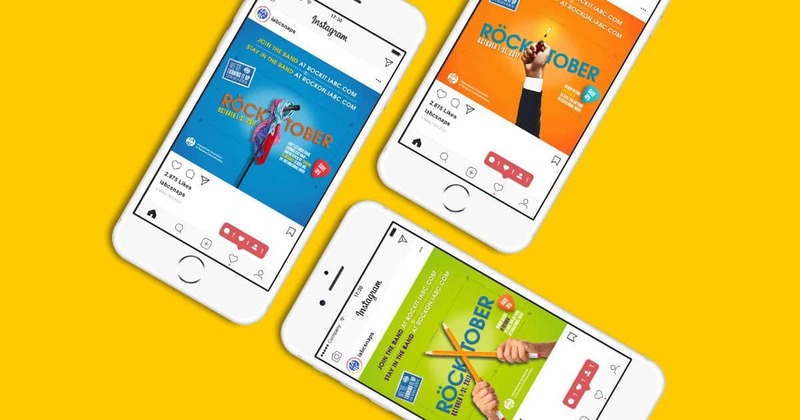 The "Rocktober" campaign for the International Association of Business Communicators was a lively integrated marketing campaign that employed a rock n' roll campaign theme and design, email marketing, social media and even a member-submitted testimonial to ensure the campaign truly 'rocked.' After the campaign launched, IABC welcomed over 200 new members with a retention rate of 58%, proving that "Rocktober" was a breath of fresh air for current and new members alike. Both campaigns helped generate many new members as well as creating sufficient buzz to merit recognition. Both campaigns got current and new members talking and excited for what was to come next for each association. Does your association have a membership drive coming up? If so, drop us a note. We'd be happy to discuss our experience with you in more detail.